Hair brushes are so basic and taken-for-granted that it’s easy to overlook their importance. Using the right hairbrush properly has direct effects on both the health and appearance of your hair. Brushing is very good for your hair! It stimulates blood circulation to the scalp, bringing it nutrients and oxygen. It helps cleanse the hair, removing dirt, skin cells, and product. It smooths the outer layer of each hair strand and the cuticle, promoting shine. It also separates the hairs, incorporating air for a fresh bounce. until you notice that your stylist uses a selection of about a dozen brushes, all different sizes and shapes while doing that killer blowout. To help guide you through the process, here are just a few of Salon Ishi’s brush basics – a hair brush 101 if you will. I’ll put it gently: if you don’t have a detangling brush, get one. These are especially necessary for long hair. Detangling brushes are specially designed to distribute the tension in interwoven hair evenly and typically have nylon bristles designed to glide through hair easily. When detangling hair, be gentle so you don’t cause breakage. This is why special detangling brushes are valuable. At Salon Ishi every one of our shampoo sinks is equipped with the S-Heart-S Scalp Brush. It’s our go-to tool for brushing wet hair. Pro tip: if hair is really tangled, start brushing from the ends, not the scalp. And take in small sections. A healthy scalp yields healthy hair, and massaging the scalp to stimulate blood flow and relax tight muscles is an important step to a healthy scalp. 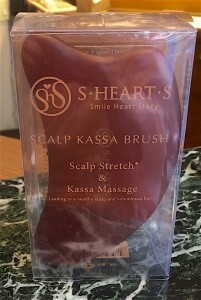 The S-Heart-S Scalp Kassa Massage Brush, available at Salon Ishi, is a wonderful, versatile tool. It not only has soft, pliable bristles for the scalp but also has a special shape for fitting the hand and has three round points that can be applied to pressure points on the head, neck, shoulders, scalp, the inside of the hands and even feet for an invigorating muscle massage. We use this brush in our famous Shiatsu Shampoo treatment. Massage, ahhh. For everyday brushing: natural bristles are best. Natural bristles have varying lengths which touch more hairs, and the natural material cleans and smooths the hair for a healthy shine. For blowdrying and styling: choose nylon bristles. You’re wanting grip, control and durability. Nylon bristles perform better under high heat than natural bristles. When selecting the shape of your brush consider the end result you’re looking for. If you want volume and some curl, use a round brush. If you’re aiming for a straight, sleek style, use a flat brush. Watch which brush your stylist uses on your hair. Tension is key to smoothness and uniformity, whether you’re going for volume or sleekness. Practice keeping the section you’re working on tight. Work in small sections. Yes, it will take longer, but you have better control. Before we got into the latest technology equipment or even sophisticated brushes like the S-HEART-S Scalp Brush and Du-Boa Ceramide 2 + Ion Scalp Massager, the best advice I could give in the way of hair and scalp care was to use a wooden comb. You can take it into the shower to spread conditioner evenly throughout your hair. Works great for just simply combing your hair. The fibers in the wood help to spread the natural oils down the shaft for healthier hair. It’s anti-static, anti-bacterial and less stressful for the hair than any other comb. It helps increase circulation to your scalp. The wide tooth comb doesn’t pull on the hair when you comb through it. Used after showering when you have wet hair, it is the gentlest way to get through the tangles. In Japan good wooden combs are the staple and are very expensive. In fact, many of the plastic combs on the market in Japan are actually made to look like wood. A wood comb is often the best choice for curly or long hair that may get caught in other combs because the teeth aren’t usually as thick. Wooden combs also don’t tend to pull and snag the hair. As a result locks appear shiny and lustrous. If you comb your hair and scalp front to back, back to front, and then to the right and left several times, you will feel refreshed. This also aids in blood circulation, excess sebum absorption and the removal of hair impurities. If you have a sensitive scalp a wooden comb can prevent bruising or scraping of the scalp. Wooden combs also prevent hair from drying out because it helps to distribute oil from your scalp to hair. The sebum that’s produced on the scalp is distributed throughout the length, which prevents your scalp from getting greasy. Clean your wooden comb regularly and it will last for a lifetime. Never use water to clean wooden combs. Use natural oils like jojoba. Any parent knows there’s not enough lavender oil on earth to make bath time/bed time the relaxing occasion it’s portrayed as in commercials. If you happen to have a kid with long and/or curly hair, you know that bath time can be nothing short of a horror show. This was my situation until I crafted this no more tangles, no more tears hair care routine, featuring Caretrico Moist Bounce Treatment, S-HEART-S Scalp Brush Mini and Philip Kingsley Daily Damage Defence. You may think detangling is a conditioner-based condition, but much can be accomplished in the shampooing step. Start with thebest shampoo for your child’s hair type (we have one for every type). 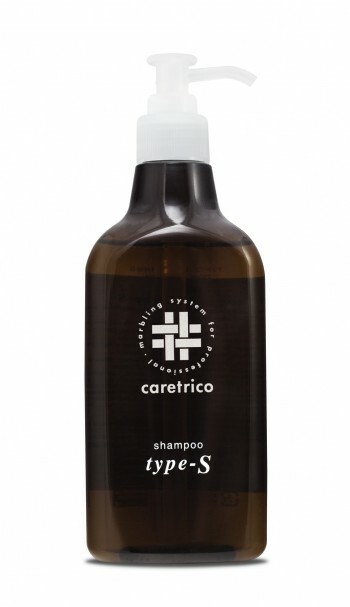 I prefer Caretrico Type S for my daughter’s hair. It’s important to really saturate the hair before shampooing; don’t just quickly dip it in water. When hair is very wet, it allows shampoo to suds up optimally, providing the best clean and allowing the brush to move through the hair with the greatest of ease. What brush, you say? Here’s where you get to break a hard and fast beauty rule: brushing wet hair! It’s 376 round-tipped nylon bristles are specially designed and shaped to remove dirt, buildup and excess oil from the 40,000 follicles on the scalp. These bristles gently massage the scalp as they clean, promoting circulation and giving a deeper and more invigorating cleaning than can be achieved by fingertips alone. Although this brush delivers a heavy-duty cleaning, it does so with the gentlest touch, so hair is never yanked or broken. Welcome to tear-free detangling that your child can do all on her/his own! After thoroughly brushing the hair, rinse out shampoo completely. You will immediately feel the reduction of tangles. Of course, this brush can be used by the whole family; I love it as much as my daughter does. It makes my hair more smooth and manageable, and styling infinitely easier. I used to use leave-in conditioner to do most of my detangling dirty work. However, after using the S-HEART-S Scalp Brush Mini, you will see (and feel) that most of that work is already done. After rinsing shampoo, squeeze excess water out of hair and apply conditioner to the bottom two thirds. Caretrico Moist Bounce Treatment has been a lifesaver for my family. Even before I discovered the S-HEART-S Scalp Brush, this conditioning treatment did a fabulous job of perfecting my daughter’s curls…not to mention the way it completely transforms MY hair after highlighting! Also, the rose hip oil-infused scent of Moist Bounce Treatment is amazing. Unique, subtle, divine. The finishing touch to the routine is Philip Kingsley Daily Damage Defence. Created as a leave-in heat styling spray, a few sprays provide light yet effective conditioning. I use this in the morning to take care of any tangles that may have happened overnight. (If your child’s hair is long and extremely tangle-prone, I recommend braiding it before bed.) Daily Damage Defence will tame any unruly wisps of hair that are sticking up and unravel any knots, though after brushing and conditioning, these will be minimal. I use this on my son’s short hair as well, to pat down any cowlicks that sprang up during sleep.